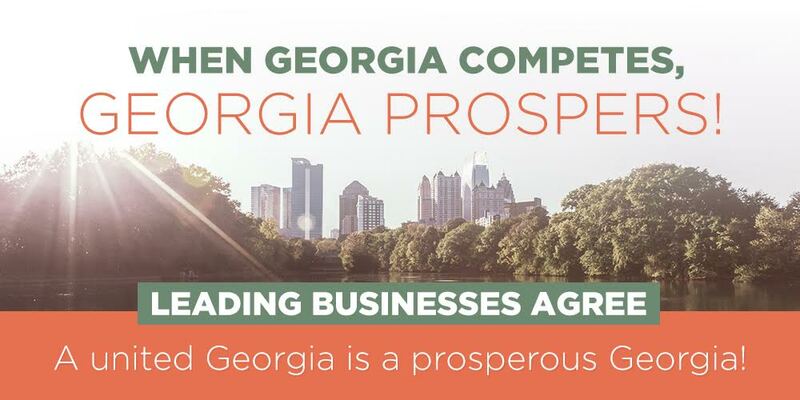 Today, Georgia businesses are standing together to announce the launch of Georgia Prospers, a coalition dedicated to the principle of nondiscrimination as a key to building and maintaining an economically competitive state. The coalition is comprised of some of the state’s largest corporations—including the Coca-Cola Company, First Data, Google, and Marriott. These companies know that treating all Georgians and visitors fairly is crucial to maintaining Georgia’s reputation as one of the best places to do business—and it’s crucial to attracting and retaining the top talent we need to create a vibrant workforce. Dave Stockert, CEO of Post Properties, said Georgia Prospers simply builds on the qualities for which Georgians are already known. In the coming weeks and months, the roster of Georgia businesses speaking out for non-discrimination will continue to grow. CLICK HERE to see the full list or if your business wants to join the coalition.